Take a peak at our latest invitation design! 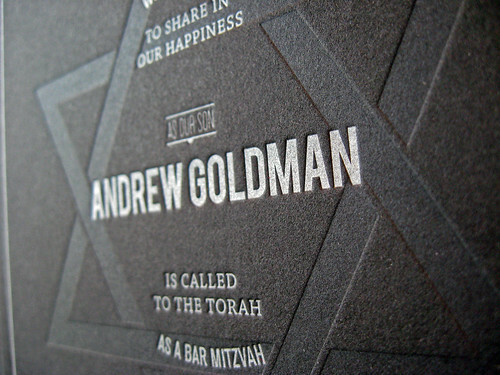 The design studio has been busy this year with custom invitation projects, so busy that we almost forgot to post these letterpress Bar Mitzvah invitations. This set includes an invitation and reply card with matching envelopes, all with a simple modern design perfect for the sophisticated mitzvah boy or girl.